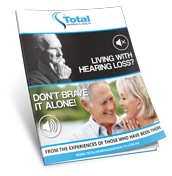 The bottom line is, helping someone with their journey toward better hearing requires patience and support, for professional help contact Total Hearing and Health. Our team have helped many Australians transition from hearing difficulties to supported devices, and are happy to help with any questions or concerns you have about a loved one. You can book in for a hearing test by calling our office on (07) 3399 8081 or via our online form.